You can’t afford to ignore the list-building lesson that all the “business teachers” online seem to be dismissing. A vanity email list with large numbers is not the answer to building a sustainable, scalable business you enjoy. Growing an email list with engaged readers who actually open your emails and buy from you (which I'll show you how to test in this free email course) IS the answer. Other list-building courses teach the same principles to you whether you have a done-for-you (DFY), done-with-you (DWY), or do-it-yourself (DIY) business model. But. The reality is, you have to plan and motivate people differently for different business models. Which makes sense, right? Certain resources and styles will attract someone who wants to buy a book/course on something vs. someone who wants a coach/consultant to help them vs. someone who wants to hire a freelancer to do something for them. 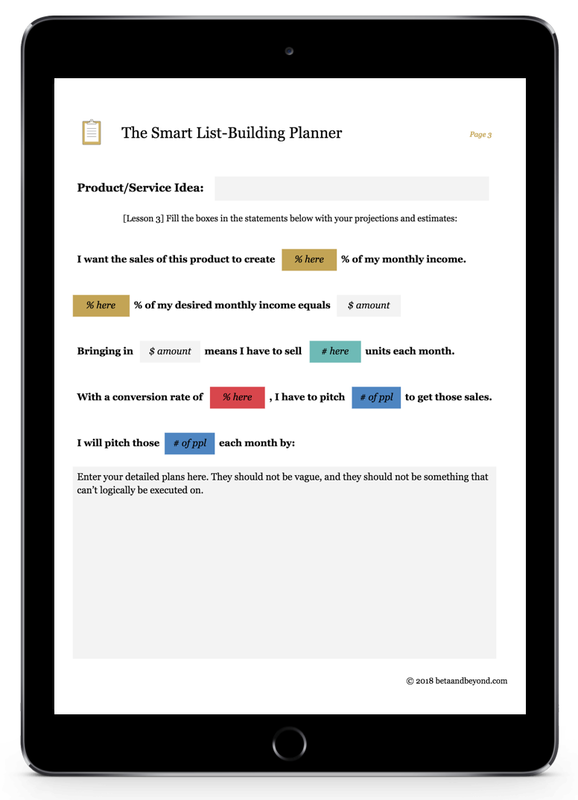 We'll introduce you to a digital resource we made for you called The Smart List-Building Planner, where you will take notes on what makes a good freebie/sample offer, and learn to set up boundaries that will help you love your business and sell more. 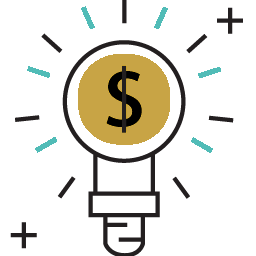 We will cover the 5 main ways you can get in front of people who have never heard of you before, so that you can spread your content, products, and services further. We’ll also talk about the three most effective ways to sell to your new audience online—you’ll be able to pick the method that fits you and your customers best. Plus, we'll tell you why we just deleted 22,000 people from our business email list 👀. We're sharing a lot of "secrets" that shouldn't be kept hidden anymore. Oh, and don’t you want the story of how I started making meaningful income with an email list of less than 80 people, and how Allie (you can meet us below) started making a full-time income from premium services with a small email list? Ready to start this 5-day course and learn how to build your business email list with people who will actually pay you? Sign up for our online business newsletter in seconds below and we will start sending you the 5-day email course. By signing up using the form below, you are agreeing to receive emails about growing your list with people who actually buy from you as well as other related events and information all geared towards people who want to profit from helping others through done-for-you, done-with-you, or do-it-yourself businesses. Meet your 5-day email course hosts. The people behind beta & beyond. Hey there 👋🏽. Since I'll be talking to you in first person during this free 5-day email course, I don't want to use a stuffy third-person bio here. So . . . I have been writing, growing online communities, and selling products and services online since 2008. Everything from freelance writing full time and designing event invitations to creating WordPress websites and publishing my own books. I speak at epic conferences each year on humanizing your sales funnels and building low-maintenance businesses with low overhead. When I'm not teaching/writing for beta & beyond, I'm chronicling my business journeys on Medium or Instagram, pretending to work out at a local NYC gym, searching for vegan food in some random city in the world, or watching action flicks. Allie here. I am a writer and educator . . . and I love using my people-person superpowers and to humanize online business. In my past life, I used to run the entire backend of multiple six-figure businesses, and in my current life, I'm managing multiple brands across the food, wellness, travel, and business industries. You'll catch me both behind the scenes of beta & beyond creating content, as well as front and center co-teaching with Regina. I received the Outstanding Graduate award 🎉 with my MS in Instructional and Performance Technology (think of this as organizational and workplace learning; I love teaching and helping fellow adults). I've never seen John Wick--which caused major problems with Regina for the first few months of working together 😂. This 5-day email course is for anyone with knowledge to share who wants to help people, build community, and/or change the world in significant ways. At beta & beyond our sole mission is to make it easier for you to create services, educational products, and events that your customers hashtag home to mom about. We're taking our years of experience creating online programs, publishing share-worthy content, selling out in-person and virtual events, and building communities . . . and putting it into all of our programs and offerings.